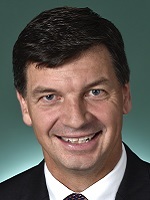 Angus Taylor was elected to Federal parliament in September 2013. The boundaries of his NSW seat of Hume were re-drawn (2016) to include some of the fastest growing population areas in southwest Sydney. With a strong interest in economics, Angus initially worked at a parliamentary committee level on reforming health, tax and agricultural policy and on telecommunications infrastructure. In February 2016 he was appointed Assistant Minister to the Prime Minister with special responsibility for Cities and Digital Transformation. Angus is keen for government to implement innovative deals with the private sector, which move more jobs closer to where people live and ensure a strong return for taxpayer dollars invested. He is a firm believer in government delivering more effective public services through digitisation. 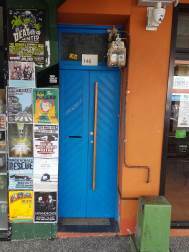 Prior to entering parliament in 2013, Angus was a Director at Port Jackson Partners where he was a strategy and business advisor to a number of global and Australian companies, as well as public sector organisations. Before this he was a partner at global consulting firm McKinsey & Co.